I have a thing for zombies…okay, so it’s more like an obsession. Just ask my kids, who are mortally embarrassed by the bobblehead undead perched atop the dashboard of my mini-van. The kids decided I’d officially crossed the line last November when I forced them to perform as zombies that I systematically slaughtered during a “how-to” speech for an oral communications class. My speech, “How to Survive the Zombie Apocalypse”, was born out of desperation when the sole criterion for the speech was announced: “It must be captivating to your audience,” my instructor said. Captivating? What did I have to offer in the way of captivating to a room full of classmates between the ages of 17-20? Parenting tips? No. Scrapbooking? Definitely not. How-to Divorce Guide, maybe? Yeah, right. My boys were game and actually helped me bloody their faces and clothes with make-up; however, Princess #1 needed more persuasion. Namely, a two hour guilt trip about the many school projects I’ve painstakingly crafted with/for her over the years and my agreement to the stipulation that she be able to whack her brothers in the knees with a prop shovel to simulate how a crawling zombie is slower than a staggering one. Her little sister, Princess #2, begged to be included. “Please let me go. I’d make a good baby zombie, Mommy,” she said. I was afraid that as a four year-old she wasn’t ready for the gruesome business of zombie killin’, though…even the pretend kind. The speech was a success and people still stop me from time-to-time on campus to ask if I’m still preparing for a zombie plague. Truth is, now that I’ve stock-piled my food, water, weapons and ammo, I’ve decided that the best strategy for preparedness is to become as informed as possible about the walking dead. For this reason, I’m watching and reading pretty much everything I come across about zombies. Some of it is good: AMC’s series Walking Dead is my fave, but the show is on hiatus until February, and this has left a giant hole the size of a half-eaten brain in my Zombie Emergency Preparedness Checklist. It was with hope of filling that void that I purchased Susan Abel Sullivan’s new independently published ebook Fried Zombie Dee-light! Ghoulish, Ghostly Tales, billed as a “fun collection about ghouls, ghosts, zombies and an advice column featuring dead letters from the lovelorn” on barnesandnoble.com. The cover is by writer and video game artist Abby Goldsmith, who happens to also be a friend of Susan’s. It’s precious and has led me to reserve a place on my dash should Abby and Susan ever branch-out into bobblehead zombie design. I enjoyed Susan’s first collection, Cursed: Wickedly Fun Stories from World Weaver Press. Fried Zombie Dee-light! is even better. I’ve decided that what appeals to me most about Susan’s writing are her characters. I finished Wanted: Certified Zombie Instructor wishing that I had come up with Mr. PanZee, the heavy metal fairy that comes off as a cross between Dog the Bounty Hunter and Tinkerbell, myself. I think that’s one of the ultimate compliments one writer can offer another, by the way. Honestly, where does she come up with this stuff?! Aside from being highly entertained by Susan Abel Sullivan’s latest offering, I also picked up a few tips. After reading Zombie Hunting With My Mother, I’ve decided to add a chainsaw to my weapons cache and a case or two of beer to my provisions when my Southern nature insists that it’s time to deep fry some of the hoard. There is more to the collection than zombies, however, including an advice column that has left me sure I’ll never be able to read Dear Abby without mentally interjecting some of Susan’s zaniness and an imaginative monologue from your average Ghoul Next Door. Fried Zombie Dee-light! Ghoulish, Ghostly Tales is currently available on Smashwords, Barnes and Noble Nook and Amazon Kindle. A few weeks ago I heard about a local author with a soon-to-be-released anthology. “My fitness instructor has a book coming out,” my aunt informed me. Sighing in response, I added the Mystery Instructor and the creature living in Snooki of Jersey Shore’s womb to a mental list of those that would certainly be achieving publication before me. I did just that and, being fascinated by perfectly normal-looking and functioning people with whole worlds of magic and fantasy creatures bouncing around inside their brains, I was intrigued. These are My People and I seek them out whenever I learn of them. I am proud to say that I was one of the first to purchase Susan’s book Cursed: Wickedly Fun Stories, the debut release from World Weaver Press, when it launched March 5th. Cursed is an anthology of the best speculative fiction short stories that I’ve read. Some are deliciously creepy, and all are so much fun that I’ve already reread them a couple of times. With a long reading list and writing deadlines of my own, it’s unusual for me to revisit a book so soon simply for the sake of savoring it before jumping into the next title on my list, but Cursed, with its cast of memorable characters, is special. My personal favorites are Getting the Curse and Kudzu, for their clever points-of-view that so effortlessly propel the reader through each story. I had the pleasure of sitting down with Susan Abel Sullivan a few days ago to talk about Cursed, writing, and the genre of spec fic in general. Michelle: I’d like to start by clarifying for readers of the blog the genre of speculative fiction. What is spec fic? 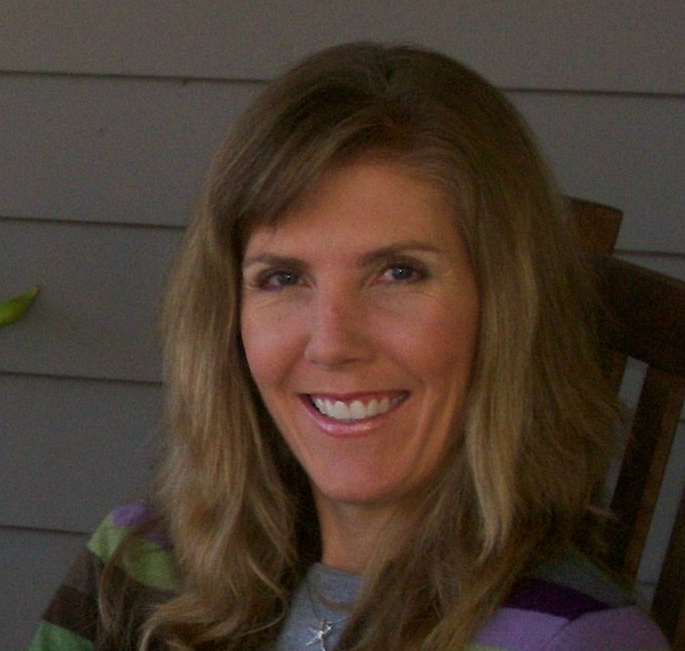 Susan Abel Sullivan: Speculative fiction is the new term for fantasy. It encompasses all fantastical fiction and magical realism. In terms of my writing, it’s a mash-up of cross genres like Southern Gothic, Southern chick lit, urban fantasy, paranormal romance and science fiction. Michelle: There are many fun and memorable characters in Cursed. I’ve read that you consider characters to be one of your writing strengths. How do you come up with them? Susan Abel Sullivan: I approach it almost like method acting. In community theatre, I didn’t really know a character that I was playing until I was in costume and on set. It wasn’t until I felt like I was in a real setting that I got to know the character. I notice interesting people and like to pull from their history…the way they speak and things like that…but until I get into [a story], I don’t always know what’s going to happen. Michelle: I gather from other interviews I’ve read that you weren’t exactly a typical little girl growing up in Pensacola, Florida…that, like your character Bernie Lludd in The Accidental Poet, you loved Stephen King and constructed monster models? Susan Abel Sullivan: I was an artistic, highly imaginative child and liked to retreat to the kind of world that I wanted to live in. Barbie and Ken just didn’t hold a candle to movie monsters like Dracula, Frankenstein and the wolf man. I started reading Anne Rice and Stephen King in middle school. On the outside I was an all-American girl-next-door, but on the inside I could have been a member of The Addam’s Family. Michelle: Besides Anne Rice and Stephen King, whom you’ve mentioned, what other writers inspire you? Susan Abel Sullivan: Carrie Vaughn is one of my favorites. She’s a fellow Odyssey Grad. I’m also a fan of Janet Evonovich for her fun, zany humor. Michelle: I’ve heard that you are married, involved in theatre and have a passion for dance and fitness. How do you balance these other aspects of your life with writing? Susan Abel Sullivan: It is about finding a balance. (laughs) Sometimes my head is still in a story when it’s time to transition [to something else]. Most writers don’t have the luxury to just write, though. Michelle: Do you have a favorite place, time of day or process that you follow when it is time to write? Do you preplan or outline? Susan Abel Sullivan: I have an office where I like to write. I start with checking my email, Facebook, other social media…in case there are any responses from agents or publishers I’ve submitted material to, but I don’t have any special routine. My process is more intuitive. I cannot outline to save my life…I discover things as I go. I have the same process with all the arts. Michelle: I particularly enjoy the opening lines from Getting the Curse and Kudzu. What, in your opinion, makes for a great beginning to a story? Susan Abel Sullivan: A great beginning needs to interest the reader, but a first-line grab can be too much like a gimmick. I’m a fan of the slow train that builds up momentum. Michelle: What is your process for revising and editing? Susan Abel Sullivan: I see them as two different processes, with revising being more re-visioning. I have a hand-picked group of Od-Fellows [Odyssey Writing Workshop Alumni] and readers that I go to for opinions about what works and what doesn’t in a story. I like to know where they laughed out loud or where the story doesn’t work for them. There are others that I turn to for elements of craft, dialogue work and plot issues. I had a college professor to line edit some of my earlier work and that helped tighten my style. Michelle: And what exactly is the Odyssey Writing Workshop? Susan Abel Sullivan: It’s a six-week residential writing boot camp in New Hampshire held annually for those hoping to become professional writers. Coaches work with attendees every week and give them the tools to write better. It’s all about training and technique. The class sizes have ranged from as small as 12 to as large as 20, but a size of about 16 seems to be what works best. After completion of the workshop, many grads stay in contact…serve as critique groups for one another, network…it’s kind of like being in a fraternity or sorority. Michelle: What’s next for you? What future projects can readers look forward to? 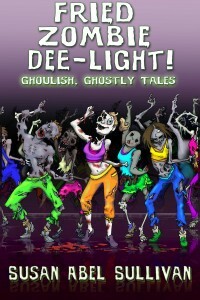 Susan Abel Sullivan: I’m anticipating an April release for Fried Zombie Dee-light! : Ghoulish, Ghostly Tales, a YA ebook similar in length to Cursed with four short stories, a couple of poems and a flash fiction piece. The first novel in my adult urban fantasy series, The Real Haunted Housewives of Allister, Alabama has received some interest, as well. I promised to keep Susan for only a half-hour for the interview. Two hours and fifteen minutes later we checked the time and I apologized for holding her hostage, picturing Olympic-sized swimming pools teeming with aqua-Zumba students bobbing in boredom as they waited on their instructor/werewolve whisperer, and all the disappointed interviewers that would have to wait another day for their chance to pick the very interesting noggin of Mrs. Susan Abel Sullivan. “Writers usually don’t talk much, unless you get them talking about writing,” Susan said with a laugh as we said our good-byes. I left the little coffee shop where we met greatly impressed with Susan, appreciative of the time she took out of her busy schedule for the fledgling blog of an aspiring author, and incredibly encouraged to keep writing. Susan may not know it, but she left the shop with a fan for life! Since the interview, Susan has posted images of the cover art for Fried Zombie Dee-light! on Twitter and Facebook and received the exciting news that World Weaver Press will also be publishing The Haunted Housewives of Allister, AL. Both titles are on my reading list! I wish her a world of success. Cursed: Wickedly Fun Stories is available for Kindle through http://www.amazon.com, for Nook at http://barnesandnoble.com/ and for most devices and computers at http://www.smashwords.com . 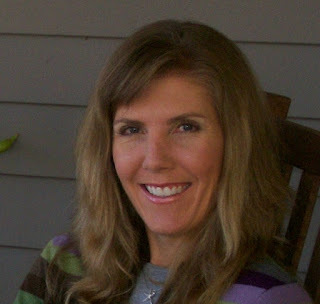 For more on Susan Abel Sullivan visit http://susanabelsullivan.weebly.com/ or https://twitter.com/#!/susan_abel. For more on World Weaver Press and any of their forthcoming titles please visit http://worldweaverpress.com.